View and Download Date sheet BA BSc Second Annual 2018 in JPG Picture format. 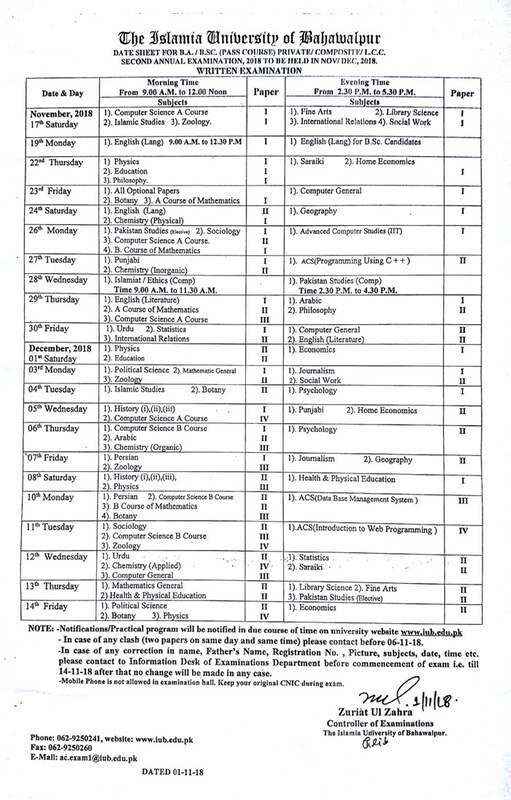 The Islamia University of Bahawal Pur has announced the date sheet of B.A. B.Sc. second annual Examination 2018.